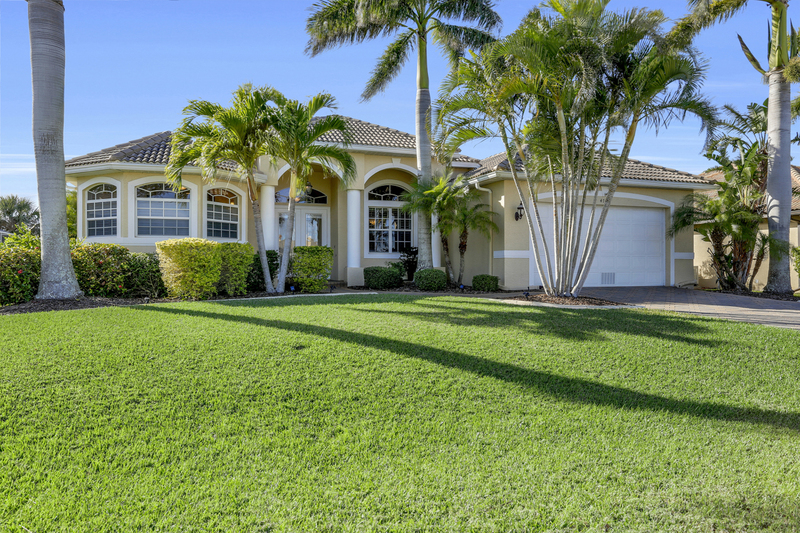 Super convenient location within walking distance to shopping and dining in ever popular Southwest Cape Coral. 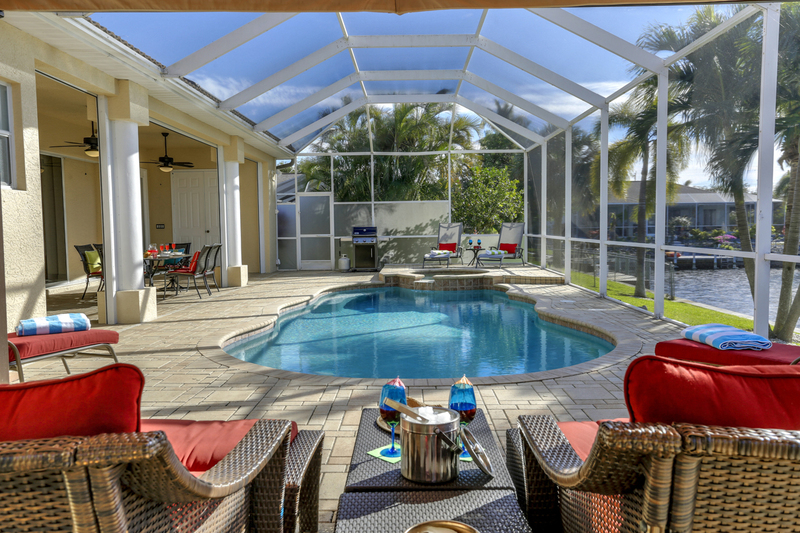 This spacious, open floor plan home is a great choice for guests seeking a modern stylish home featuring 3 bedrooms and 2 bathrooms with electrically heated pool and spa set on an oversized pool deck with gorgeous gazebo. 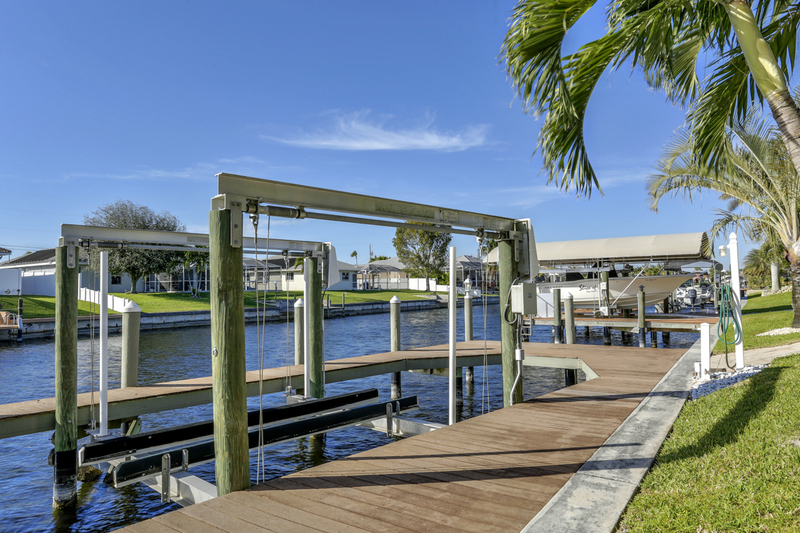 Guests will also enjoy the canal front large private dock to indulge in a spot of fishing or sip a cold drink and watch the sun set on another perfect day in Florida. 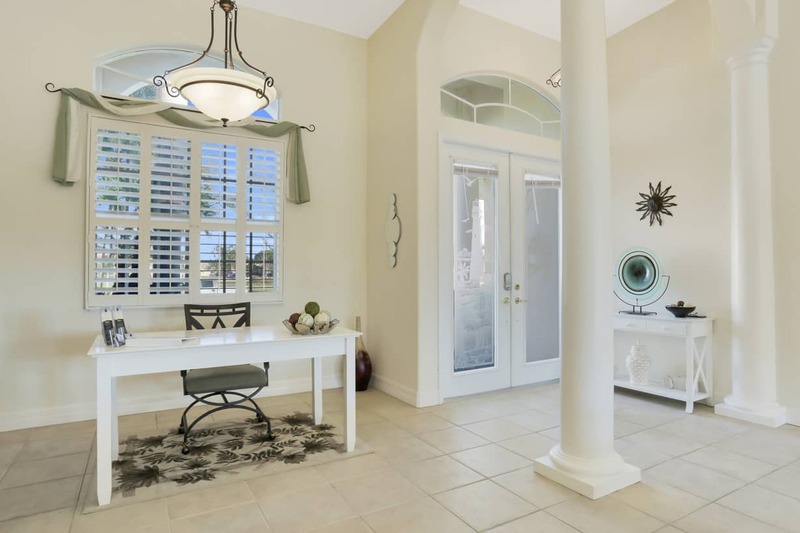 This home is ideal for guests seeking a modern spacious residence with dining and shopping within walking distance. The villa more than met our expectations. The photos don't do it justice. It was well equipped with everything we needed for our 2 week stay, we couldn't have asked for more. The location was quiet but still within easy reach of shops, restaurants and beaches. 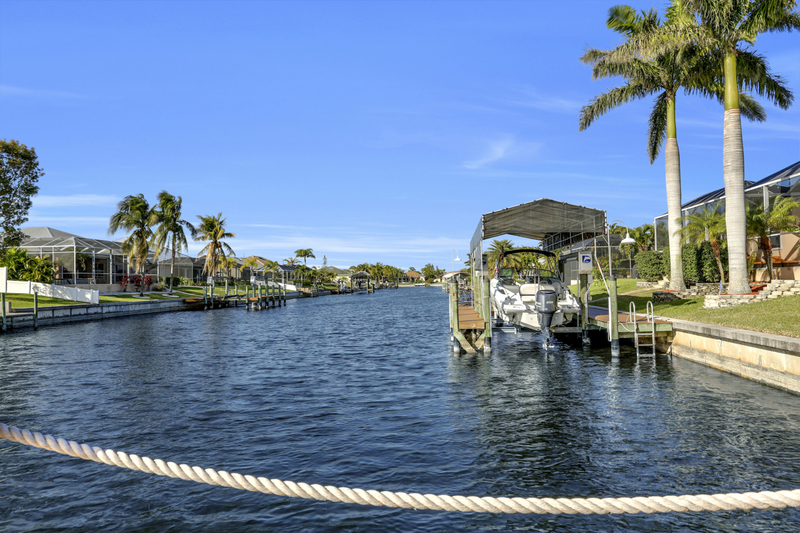 We would highly recommend renting a boat and exploring the amazing intercoastal waterways Cape Coral has to offer. The farmers market each Saturday at Cape Harbour is worth a visit and has the best fresh guacamole we have ever tasted. 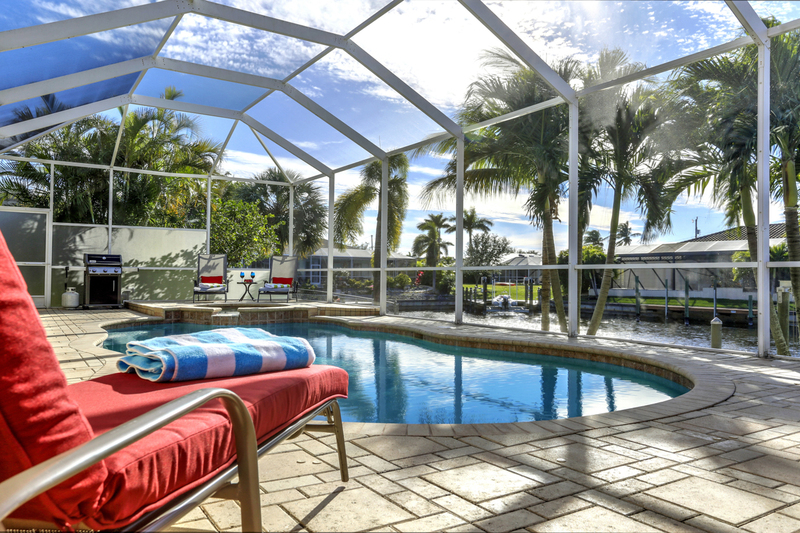 This is the 3rd time we have visited Cape Coral from the UK and rented through Churchill Property Services and cannot recommend them enough! Everything worked out very well. From the booking, payment, sending the documents etc. to the last day everything completely frictionless and problem-free. 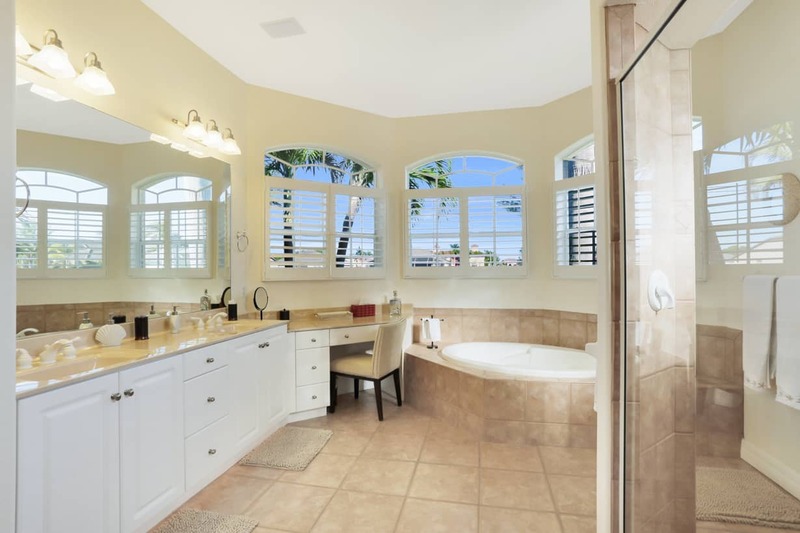 The house is great and has everything it needs for a relaxing holiday. Location, facilities etc. top! 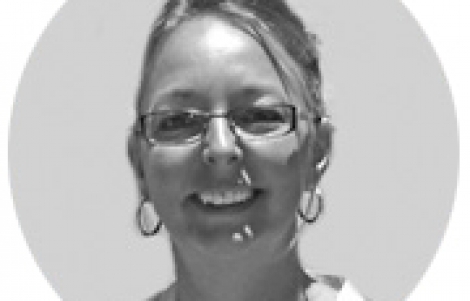 The handling / support of Churchill Properties was great, fast and friendly. We will be back next year! 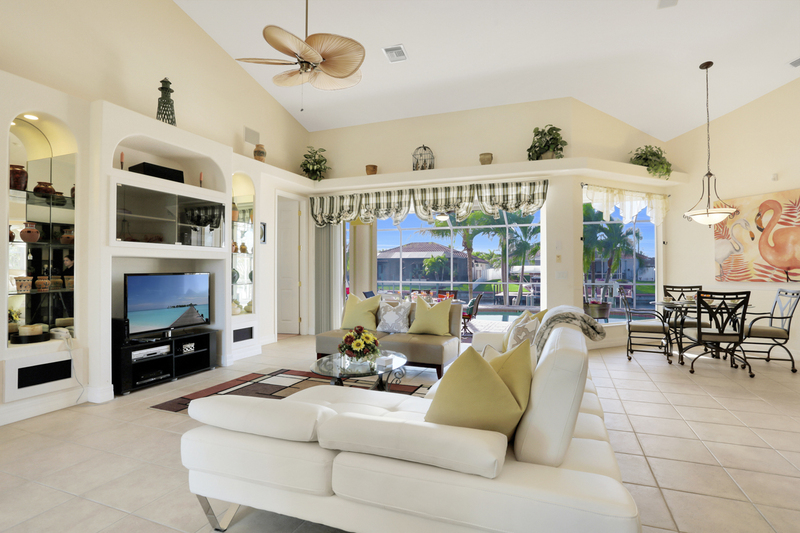 Open plan kitchen overlooking Family Room and pool area. 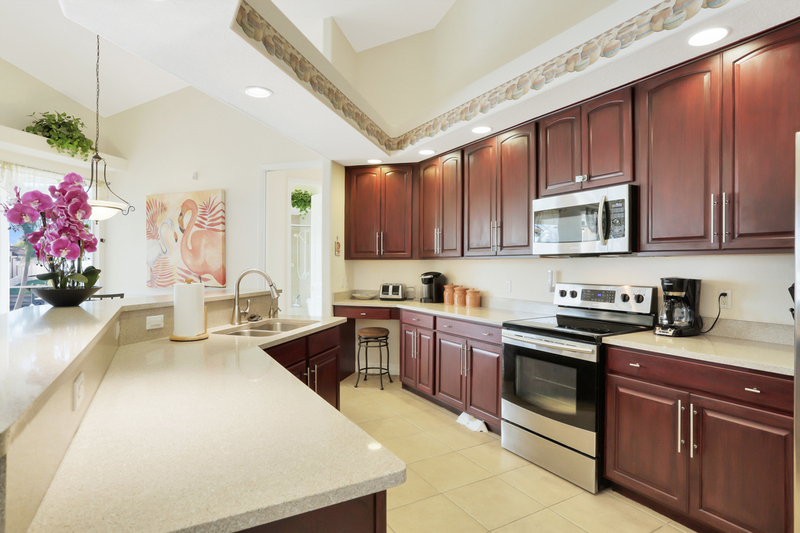 Equipped with all necessary appliances & cooking utensils. Breakfast Bar area with 2 bar stools. Also Gas BBQ in lanai area for al-fresco cooking in the sun! 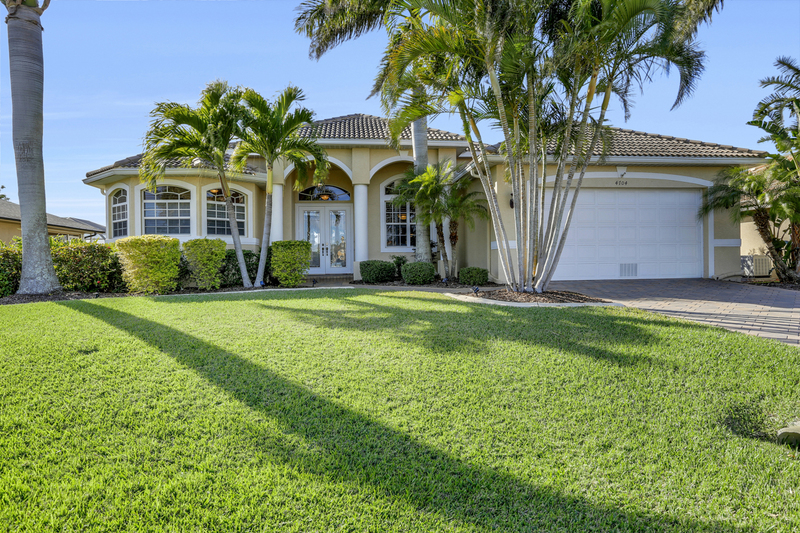 Villa Amoras is a spacious and modern Gulf access pool home located within walking distance of dining and shopping options in ever popular SW Cape Coral. 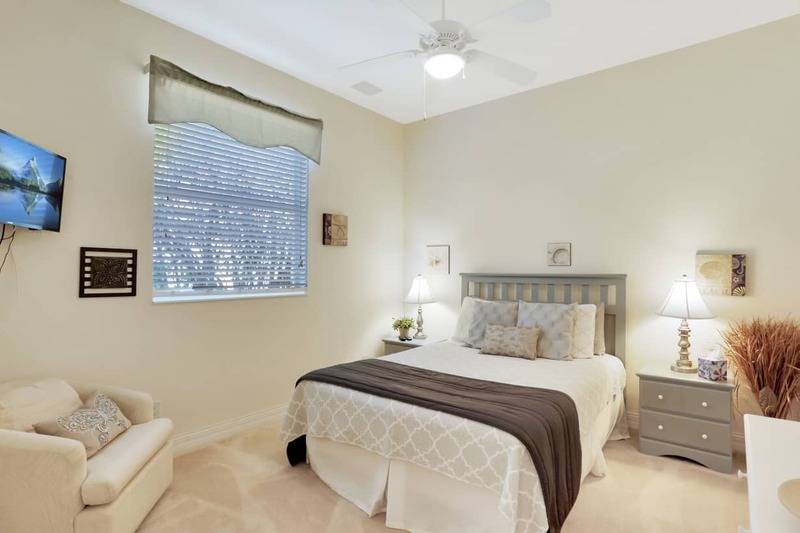 The home features 3 well appointed bedrooms and 2 full bathrooms. 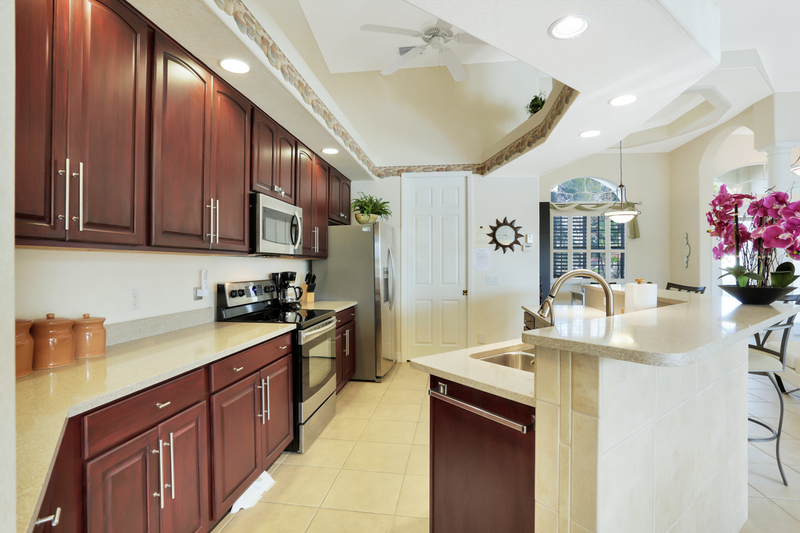 The floor plan is the stylish open living concept where Living, Dining and Kitchen are combined to make one large space. 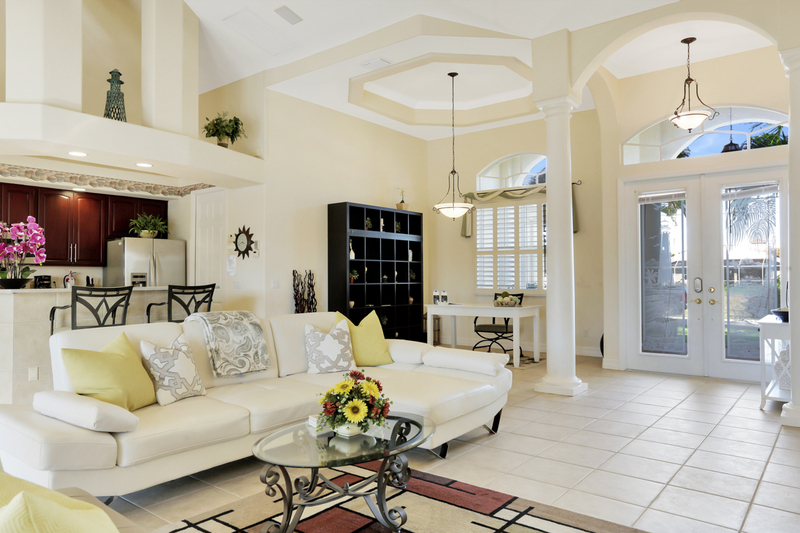 On stepping through the front double door entrance, guests will instantly appreciate the open layout. The first space to greet you is the main living area which has been comfortably furnished with leather sofas plus Smart TV with cable and surround sound for family enjoyment. Overlooking the living area is the open plan kitchen. 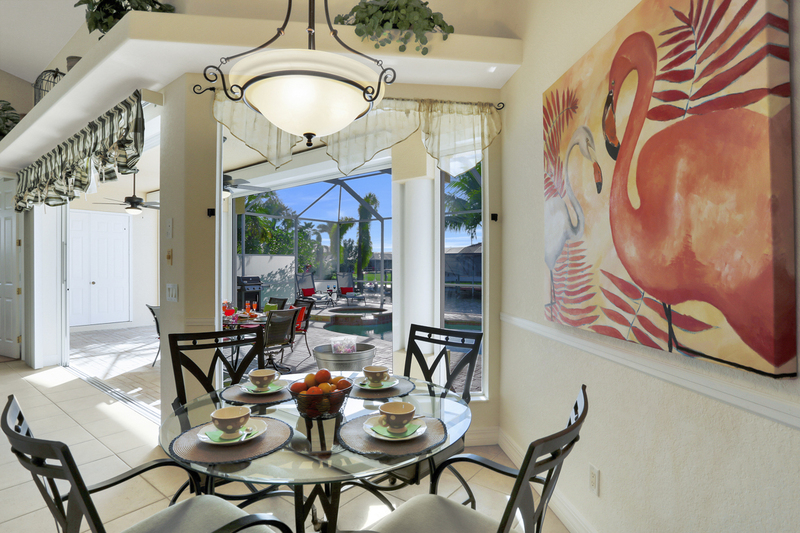 There is also a casual dining area to complete the main open plan living space. 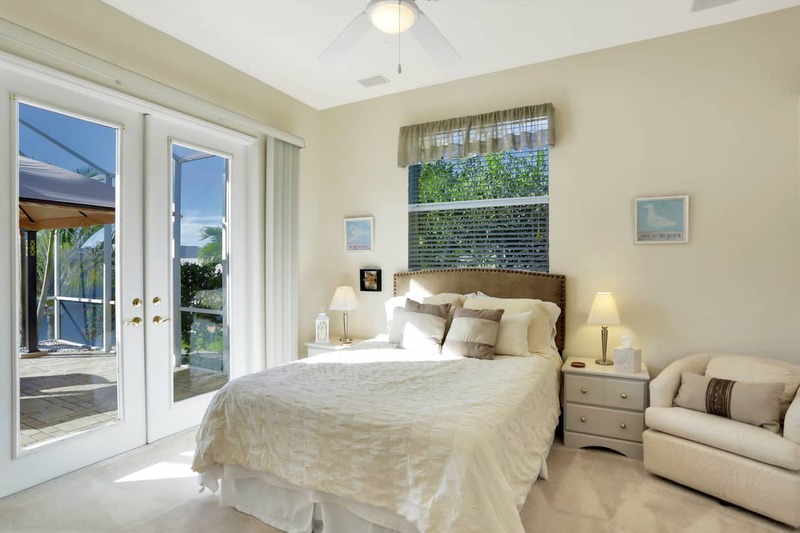 The bedroom layout is split plan so to provide the utmost in privacy for all guests. 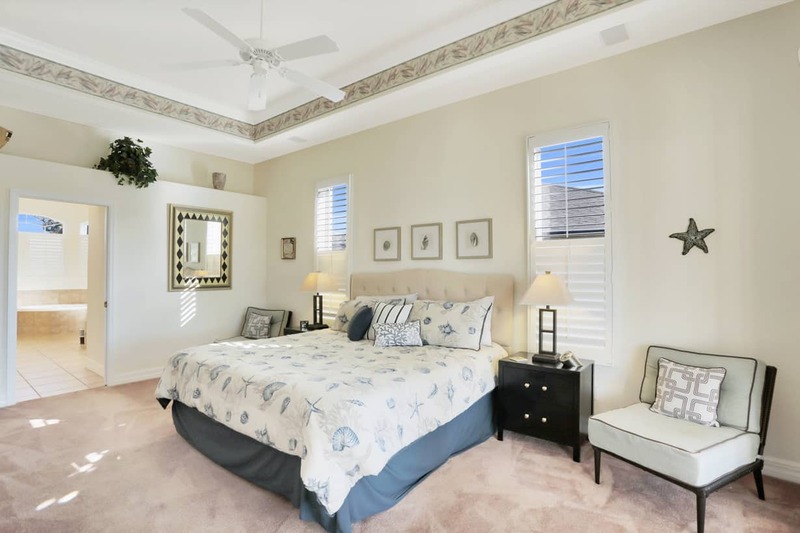 The Master Bedroom comes complete with king size bed, flat screen cable TV and private Master Bathroom. 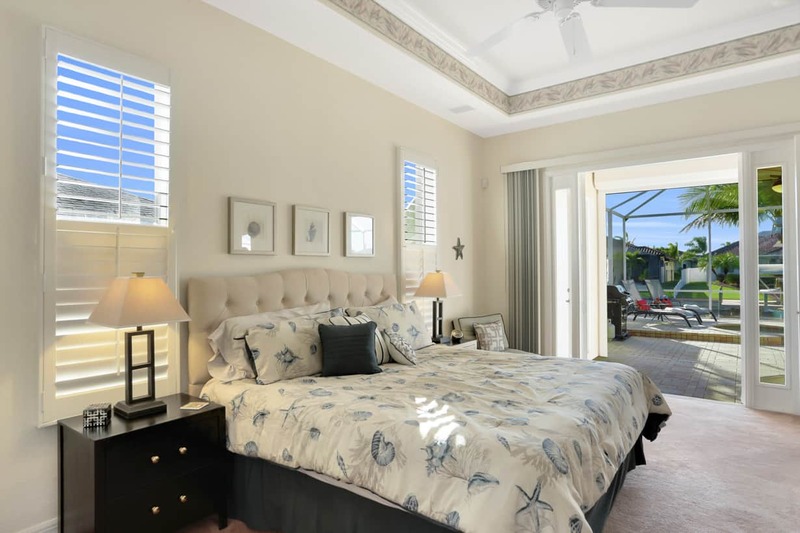 The Master Suite also enjoys french doors to the pool area. A further 2 guest bedrooms on the other side of the home each feature a queen size bed. 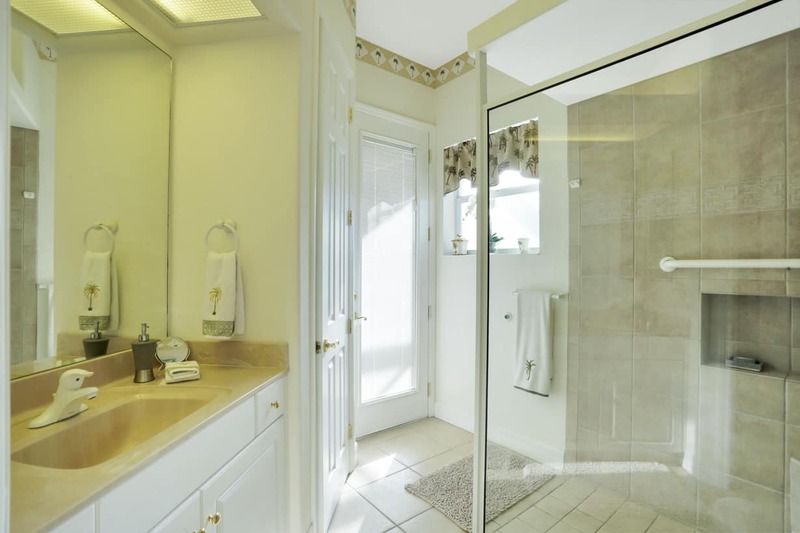 There is also a guest bathroom located on the other side of the home for guests' use. 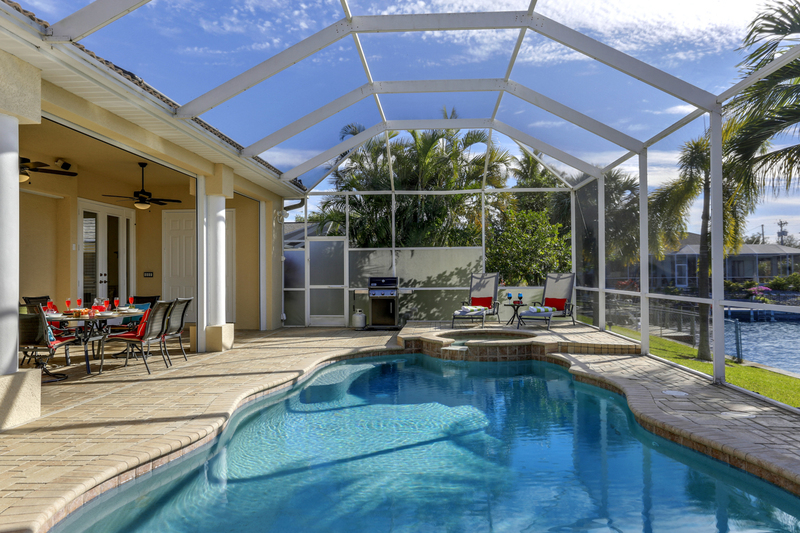 Stepping outside of the home through the glass pocket slider doors, guests can enjoy the stunning west facing private pool deck area with electrically heated pool and spa. The deck is extremely generous in size and offers multiple areas for sunbathing and sitting quietly in the sunshine. 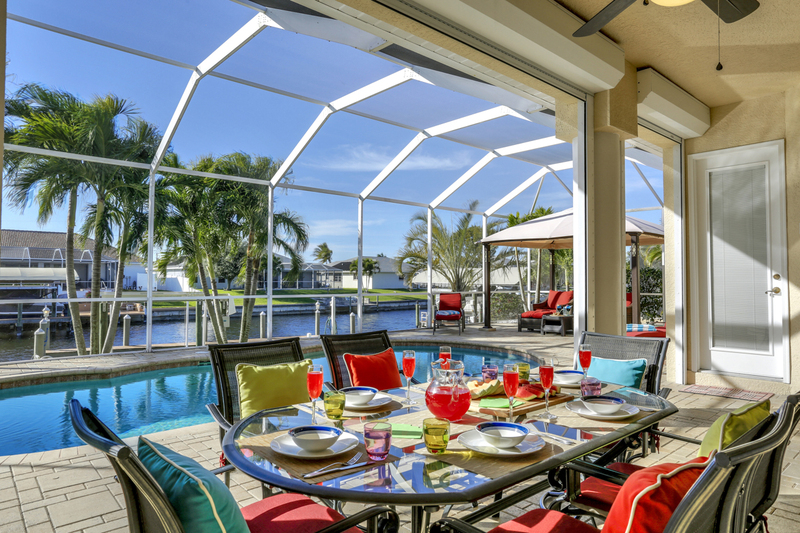 The deck also comes equipped with a gorgeous gazebo providing a shady spot to sit under and enjoy the wonderful Florida outdoors. 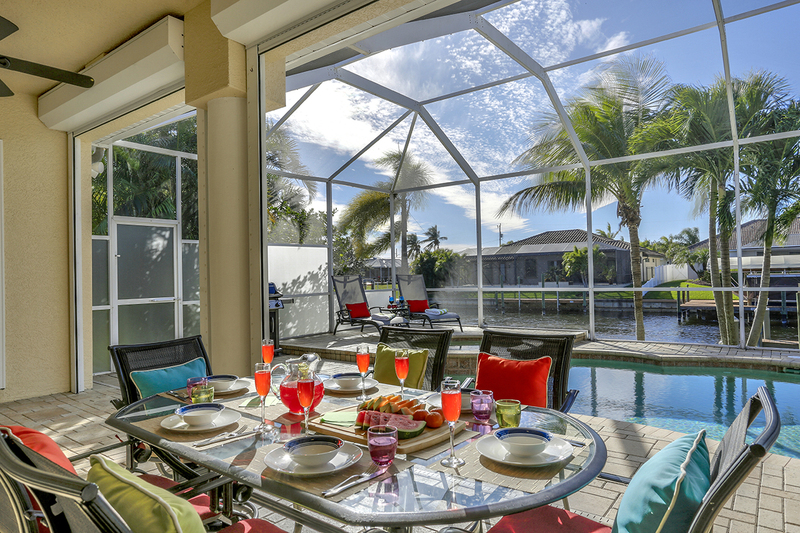 There is patio seating for 6 so guests can enjoy alfresco dining. 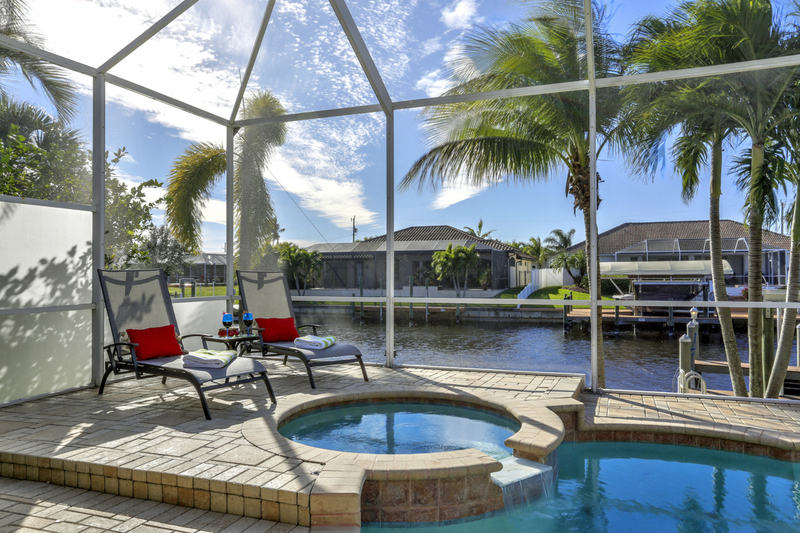 With outdoor waterfront living and relaxation so high on the priority list in sunny Cape Coral, the home is also equipped with a gas barbecue. 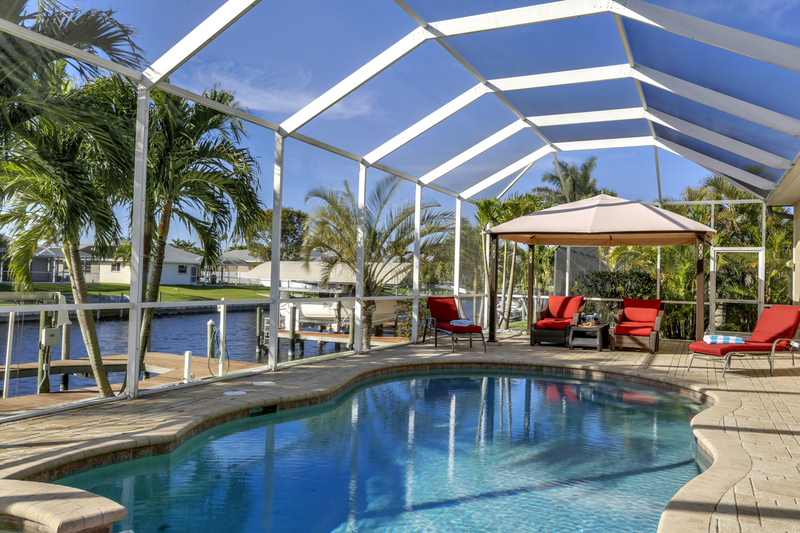 The landscaped grounds and private boat dock area are the finishing touch to your own piece of paradise that Florida is famous for.